In Jack the Giant Slayer we meet Jack (the son of a poor farmer) and Isabelle (princess of the kingdom) as young children being read the story of the Giants and King Eric the Great who banished them back to their world far above the land of humans, by using a special crown made from the melted down heart of a giant (the giants must obey whoever wears the crown). Fast forward ten years and Jack (Nicholas Hoult) is now the farm hand on his uncle’s farm and Isabelle (Eleanor Tomlinson) is a precocious and hardheaded young lady. As funds on the farm dwindle, Jack is sent into the city to sell his uncle’s horse and cart. 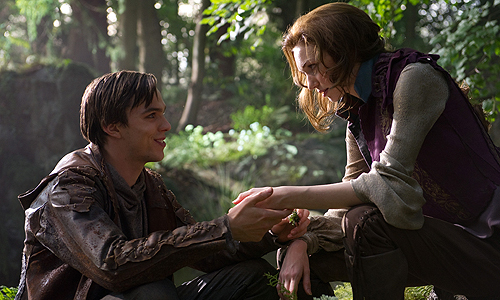 There he meets the princess, who has snuck out of the castle in disguise. 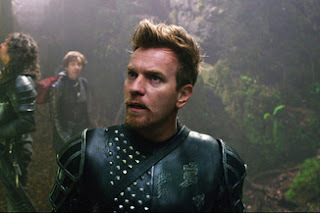 As Jack defends her honor against a gang of roughiens, Isabelle is swept back to the castle by Elmont (Ewan McGregor), the leader of the King’s Guardians. Embarrassed and frustrated, Jack continues to wonder the streets trying to sell his goods, when a monk asks to buy the horse. Jack agrees but the monk says he doesn’t have any money on him and he gives Jack a small bag of beans as collateral. Before Jack can refuse the monk jumps on the horse, rides away, and Jack must return home empty handed except for a few beans. Isabelle meanwhile has had a row with her father about all the usual things young girls argue with their fathers over: independence, power our their own lives, and the right to marry whomever they want. As Isabelle storms out of the thrown room, she makes plans to leave the castle for a real adventure. After just a few hours into that adventure however, Isabelle is stranded in a horrible thunderstorm and seeks shelter in Jack’s meager hut. As he and Isabelle flirt and banter, a single bean (which accidentally fell through the loose floor boards) begins to sprout and before they know it the hut is being hoisted into the air on a massive stalk. Isabelle becomes stuck in the hut when Jack gets thrown out a window by a stray stalk. As he falls to the ground, he watches the small building rise higher and higher into the stormy sky. 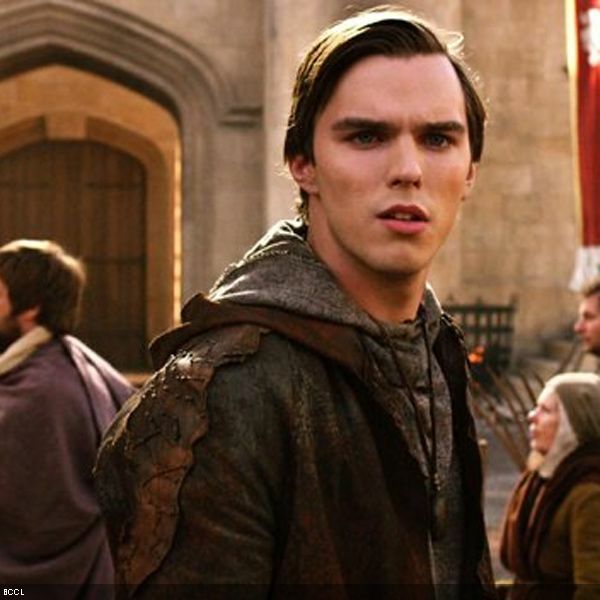 The next morning Jack wakes up to the faces of the king, Elmont, and several other guardians looking down at him. After explaining what happened, Jack volunteers to be part of the rescue team and he, Elmont, Roderick (adviser to the king and betrothed to Isabelle), Wicke (Roderick’s wicked side kick), and several of the kings best men begin a perilous journey up the beanstalk to rescue the princess. Once the small band of men reach the top (after overcoming the fear of heights, enduring a rain storm, and losing a few good men) Jack, Elmont, and Roderick split up. Just as we think Roderick is about to be captured, he pulls out the crown King Eric the Great used to banish the giants originally. With Roderick in control of the giants, Jack, with the help of Elmont and Isabelle, must fight to save the kingdom. I must say, this movie left me quite disappointed. From the previews, Jack the Giant Slayer looked to be an interesting readaptation of the old story, but it only takes a few minutes to figure out this movie is just your average fairytale story (nothing epic about it). The first thing that got to me was a Harry Potter and the Deathly Hallows-esk animation retailing of the story of King Eric and the first giant war. The animation style is semi-realistic and it leaves the viewer asking, did they do that or purpose or was it just a really bad animation job? Speaking of Harry Potter, whether on purpose or not, the writers and director (Bryan Singer) throw in random movie allusions through out the whole movie. For example, when the small group of men reaches the top of the beanstalk and begins exploring, Elmont is heard saying, “I’ve got a very bad feeling about this,” which is, of course, a very quoted Star Wars reference (plus Ewan McGregor played Obi One Kinobi in the Start Wars prequels). There are also references to The Lord of the Rings, Freddy Krueger, and a few other films. There are even musical allusions to Star Wars, Lord of the Rings, and Jurassic Park (and those are just the ones that I could recognize). 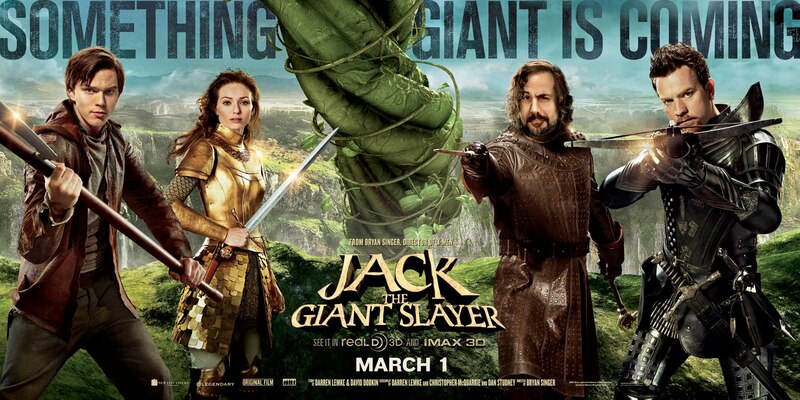 The acting in Jack the Giant Slayer is not horrible, but it also is not the best either. 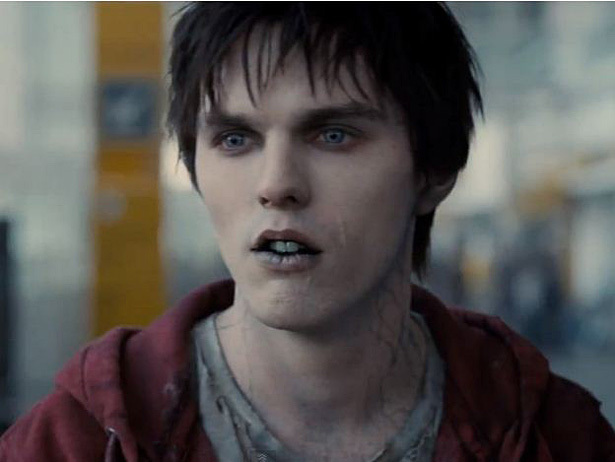 After a wonderful and thoroughly enjoyable acting experience in Warm Bodies, Nicholas Hoult turns out a thoroughly disappointing performance as Jack. His deadpan face and boyish looks make him out as a mild hero the audience is begging to step up! Even in the victorious scene where Jack walks out of the destroyed palace, with the crown on his head, to concur the giants, his body and mannerisms still reflect the meek farm boy he was and not the hero that has grown through his journey into the strong man who is to rule the people with justice and grace. Besides the beginning animation, the visual effects in this film are definitely worth mentioning. 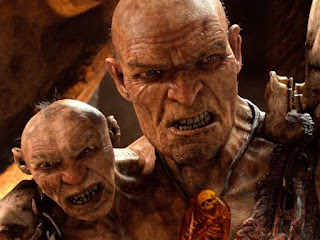 The special effects of the giants are delightful, with beautiful expression and attention to detail the viewer is willing to accept the amount of unbelievability. The beanstalk is a beautiful design of nature and geometry, reminiscent of Avatar’s Hometree. But most impressive is the cloudscapes and landscapes we see as the adventures are traveling either up or down the beanstalk. 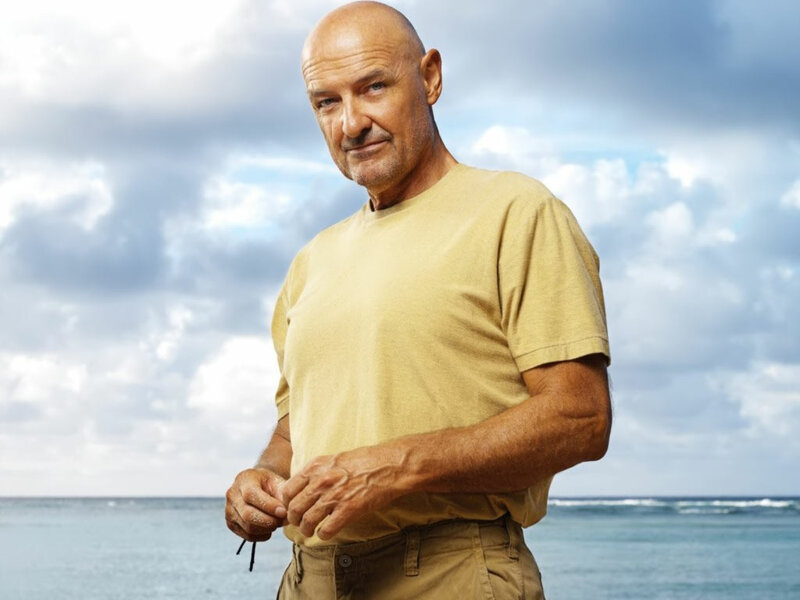 Or does John Locke look like General Fallon? The biggest issue with this movie is the fact that it tried to do too many things in one medium length film. There were too many main characters followed to allow any of them to fully develop into anything extraordinary. Isabelle could have been used as a wonderful statement of female authority and power (her future as queen was hinted at multiple times) but instead became a background character by the end of the film. She never had the chance to blossom into a strong role in the story. Jack never grew into the shoes his character was supposed to wear either. Sure he becomes ruler over the giants and saves the day, but his personality remains the mild farm boy that he was in the beginning of the film, without the moral of the story being, stay true to who you are. This remaining “as is” would have worked if that had been the moral. His character should have been the biggest one to change. Ewan, however, steals the show with his wit, rugged good looks, and fabulously quaffed hair! Elmont is the main humor character. He has several truly funny lines and has a wonderfully delightful fight scene with Roderick! When he isn't slaying Giants, Ewan Mcgregor Always Slays the ladies! Finally, the biggest disappointment is that fact that this movie is just not sure what it wants to be. At times it is a serious drama, at others it is a tongue in cheek comedy, and others a sappy romance. With no coherence of focus, style, or character the audience is left with a sense of confusion. Sure we understand what happened, but we don’t really understand why it happened the way it did. Over all this film is enjoyable to watch, and I would watch it again, but please don’t pay full price! This is one of those films where you wait for it to come to a Redbox near you and spend a lazy Saturday afternoon watching it. In the end true Love always finds a way!  Generbeener is delighted to become a part of ThEpic Team and looks forward to future reviews and conversations about the things she loves!